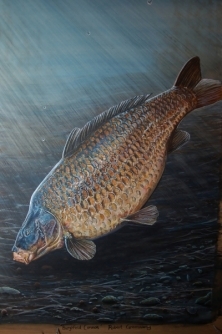 The sixth in our series of Legendary Carp Paintings is non other than that awesome creature The Burghfield Common. 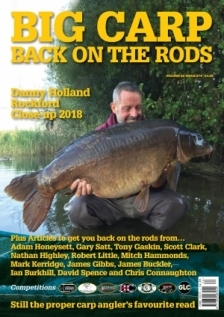 Only discovered in recent years Nigel Sharp rocked the carp angling world when he finally landed the beast after a five year campaign, during which time he had only seen this leviathan on a handful of occasions. Regarded by many as the original myth there was much speculation about its existence at all until it was finally landed at an incredible weight of 50lbs....quite how it had evaded capture for so many years is still a mystery but due to the vast size of this hugh gravel pit it simply became the needle in the haystack.